Boletus Edulis otherwise known as Porcini or Penny Bun mushrooms, pop up after the rains. Never just one or two of them, but rather whole villages of wonderful little brown dome roofs which suddenly greet one on a stroll under the pecan trees in the garden, or further afield beneath the oaks along the driveway. 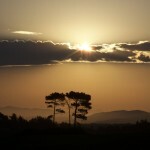 Regarded as a delicacy, they are harvested and added to a variety of dishes. 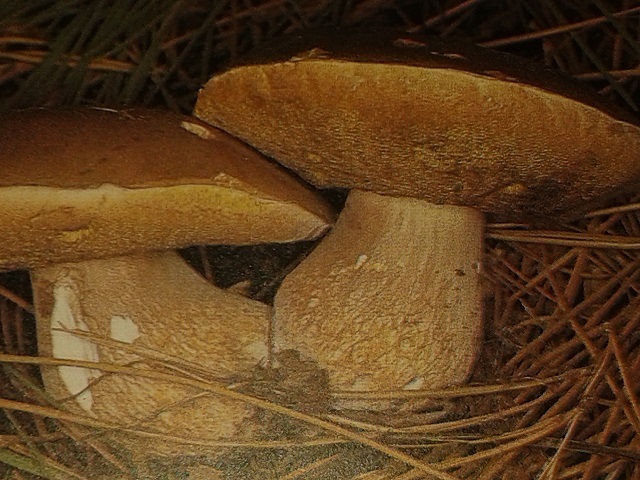 The delicate flavour of Boletus adds the magic to any dish in which they have been included. 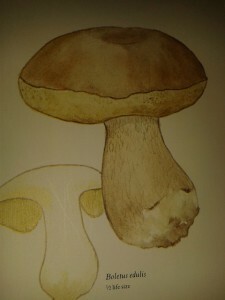 Cut into thin slivers the boletus dries well and can be saved for a special occasion. The secret to mushroom hunting is obviously to know your mushrooms. A very good book to use in identifying the mushrooms which grow in the area is: “Mushrooms of South Africa, a field guide” By Levin, Branch, Rappoport and Mitchell. ISBN: 0 86977 229 5. Boletus cannot be misidentified and ideally they are harvested when their gorgeous brown domes are firm to the touch and the tubes on the underside are cream coloured. Leave the ones that are soft and spongy when pressed as they are past their prime. Their spores will make new young mushrooms to harvest. On Brackenburn there is a constant battle of wills as the wild animals seem to enjoy Boletus as much as we do. Taking an early morning walk, the excitement of Boletus discovery leads to squeals of delight. More so as it is often simply good fortune to come upon them before the wily noses of porcupine and bush pig have come upon them first. Our favourite dish is thinly sliced Boletus gently fried in butter with perhaps a little chicken stock. This might be added to scrambled egg or eaten on crusty fresh bread with a green salad. This entry was posted in Plants and flowers by Brenda. Bookmark the permalink.